Wuthering Heights was published in 1847 by a 29 year-old Emily Bronte, under the pseudonym of “Ellis Bell.” The novel’s action spans from approximately 1771 until 1803 and documents the lives of two families: The Earnshaws and the Lintons. Filled with captivating themes and characters, Wuthering Heights is well worth detailed readings, re-readings and analysis. Modern readers have often labeled WH as a love story and have unfairly criticized it as having “unlikable characters” and imbue modern-day self-help psychology on the book by stating that its characters have low self-esteem and no self-respect. These foolish views of the book do not, however, take away from the book’s status as a respected classic that treats the themes of revenge and obsession with remarkable insight, skill, craft and understanding. Come and join me in a chapter by chapter breakdown of the novel wherein we will explore its methods, techniques and enjoy how the story unfolds. We will ask and answer questions together and will come to better understand this unique and incredible work. The version of the book I am using is Oxford University Press’ World’s Classics edition from 1976. This entry was posted in Wuthering Heights and tagged Wuthering Heights, Overview on July 16, 2018 by Kris. Let the fun begin! There’s nothing like starting chapter 1. In any great work, Chapter 1 is where we get the feel for the tone and atmosphere of the book. We get to learn who is speaking and how the story will be told, so without further ado, let’s get to it. The year is 1801 and the month is November, and since we want to get into the world of the novel as much as we can, let’s recount some things that have happened this year. In the United States, Thomas Jefferson defeats John Adams for the presidency and becomes the third United States president. In Haiti, Francois Dominique Toussaint L’Ouverture, a former slave turned into respected general drafts a separatist constitution and as a result faces the wrath of Napoleon Bonaparte and his 40,000 troops. Toussaint will eventually be captured, shipped off to France and die in imprisonment. 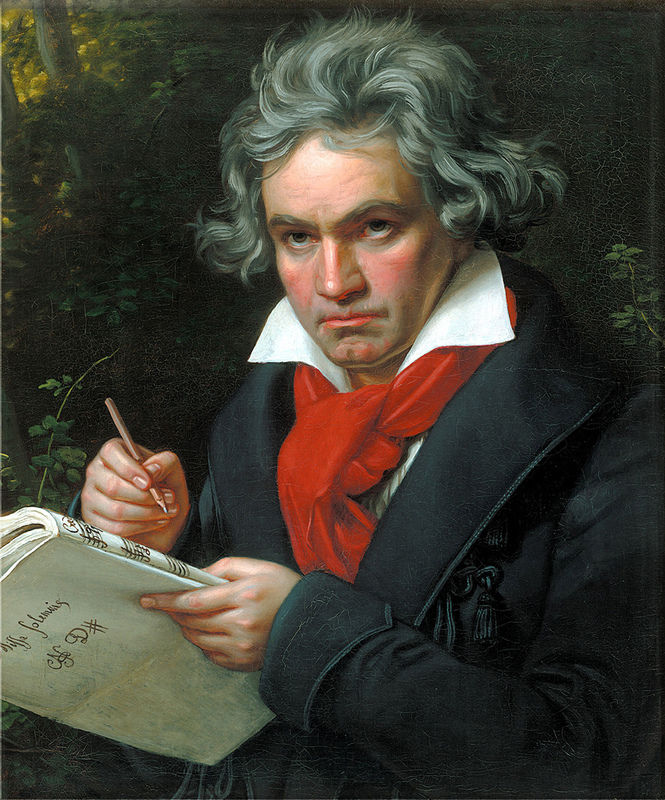 In Hungary, Ludwig Van Beethoven finishes composing the Moonlight Sonata. We will begin with a summary of the chapter and then get into analyzing some significant details of this opening in my next post. Our narrator is Mr. Lockwood (we never learn his first name throughout the novel). The chapter begins with Lockwood relating his first visit to his landlord Mr. Heathcliff (we never learn his first name throughout the novel). Lockwood tells of how beautiful and solitary his new area of residence is and describes it as “a perfect misanthropist’s Heaven” (1). He then begins to recount how similar he and Heathcliff are and describes Heathcliff as a “capital fellow” (1), despite receiving a rather less than pleasant welcome from Heathcliff. Lockwood meets Heathcliff at Wuthering Heights, which is about four miles away from where he will be a tenant at Thrushcross Grange. He is a dark-skinned gypsy in aspect, in dress and manners a gentleman – that is, as much a gentleman as many a country squire: rather slovenly, perhaps, yet not looking amiss with his negligence, because he has an erect and handsome figure – and rather morose – possibly some people might suspect him of a degree of under-bred pride. (Bronte 3-4). Lockwood’s somewhat superior description of Heathcliff is followed by his explanation of Heathcliff’s personality and reserve. In this very important part of the chapter, Lockwood continues to explain Heathclif’s personality, assumes it to be similar to his own and then internally shares a story of one of his past heartbreaks. We will explore this in depth in the next section. After taking a seat, one of Heathcliff’s dogs approaches Lockwood and growls violently at him after he attempts to pet her. Heathcliff tells Lockwood to leave the dogs alone, and calls out to Joseph, and as Joseph gives an indication of not coming, leaves to go find him in a cellar below. The dog and a pair of sheep dogs begin to surround Lockwood, as he attempts to sit still while for some reason making faces at the dogs. Irritated by his behavior, one of the dogs pounces at his knees and Lockwood flings her back and tries to put a table between himself and the dogs. This aggravates all the dogs, and they surround him while he attempts to defend himself with a poker. While Heathcliff and Joseph ascend back from the cellar in an unhurried manner, Lockwood is saved by Zillah, Heathcliff’s housekeeper, who chases the dogs away with a frying pan and an authoritative manner. Heathcliff shows little sympathy and blames the indignant Lockwood for the dogs’ outburst, but a little later allows a grin to pass over his face and calms the situation by offering Lockwood a little wine and starting a conversation about the advantages and disadvantages of residing in Thrushcross Grange. The chapter ends with Lockwood complimenting Heathcliff’s intelligence and remarking that he will visit Heathcliff again the next day, despite Heathcliff’s lack of interest in a repeat meeting. The novel begins with Lockwood and his estimations of the area he is in and the people he encounters. The story is told from his perspective and we are free to make our own estimations based on what he describes to us. I enjoyed this beginning very much because what Lockwood tells us seems to be at a discord from what actually occurs as he describes it. He comments on the beauty of Wuthering Heights and his disbelief that he “could have fixed on a situation so completely removed from the stir of society. A perfect misanthropist’s Heaven” (1). Judging by this, Lockwood is telling us that he is someone who prefers solitude and dislikes the company of people. He then continues to say that “Mr. Heathcliff and I are such a suitable pair to divide the desolation between us. A capital fellow! He little imagined how my heart warmed towards him when I beheld his black eyes withdraw so suspiciously under their brows, as I rode up, and when his fingers sheltered themselves, with a jealous resolution, still further in his waistcoat” (1). Notice the difference here between what is said and what occurs. Lockwood describes himself as basically Heathcliff’s spirit animal and talks of how his heart warms at seeing him, while Heathcliff does everything in his power to squirm away from what we imagine is a very unpleasant encounter for him. Several questions arise from this. Can we trust anything Lockwood tells us as reliable information? He clearly doesn’t seem to get that Heathcliff and him seem to be nothing alike. Does that really matter? Though Lockwood might misinterpret what is happening, does it really effect what is factually happening in the story? What function does Lockwood serve as the narrator of this beginning? What tone does he set? Why is Lockwood telling this story? Does this interaction establish Lockwood as a device to illustrate Heathcliff with more detail? Do we naturally need a goofy Lockwood to bring out the grizzly and grumpy Heathcliff as to establish him better? Despite the gruff invitation, Lockwood cannot resist visiting Heathcliff and for his reason states that he “felt interested in a man who seemed more exaggeratedly reserved than [himself]” (2). The comedic presence of Lockwood also sheds more light onto Heathcliff’s elderly servant Joseph, whom upon meeting, Lockwood describes as “looking, meantime, in my face so sourly that I charitably conjectured he must have need of divine aid to digest his dinner” (2). Lockwood clearly seems to be out of place and unwelcome in this setting, yet continues to maintain that he has many commonalities with Heathcliff. Lockwood confesses that he “know[s], by instinct, his [Heathcliff’s] reserve springs from an aversion to showy displays of feeling – to manifestations of mutual kindliness. He’ll love and hate, equally under cover, and esteem it a species of impertinence to be loved and hated again” (2). Later in the novel, we’ll discover that Heathcliff has no problems loving and especially hating in the open and not undercover as Lockwood presumes, and even Lockwood recovers from this romantic description and admits that he “bestow[s] my own attributes over-liberally on him” (2). Lockwood reveals more about himself by recalling a story of him on a vacation at a sea-coast and falling in love with a woman and not telling her that he was in love with her. When she understood that he was in love, she returned a sweet look to him, only for him to “shrink icily” into himself and become colder, until his poor crush started to doubt what she had sensed and asked her mother to leave the vacation spot. This story gives us an excellent portrait of Lockwood and further illustrates how different he and Heathcliff are, because Heathcliff has so far not displayed any timidity or fear. The chapter continues to be comically entertaining through Lockwood’s interactions with this environment. He is attacked by Heathcliff’s dogs, is inefficient in defending himself and contrasts poorly even with Heathcliff’s elder female servant who ends up rescuing Lockwood with a frying pan and a loud voice. Heathcliff finally takes pity on Lockwood and offers him a glass of wine and some laconic conversation. This encourages Lockwood to repeat his visit on the next day and leads him to the conclusion that it is “remarkable how sociable I feel myself compared with him” (6). This brings us to the conclusion of chapter 1. We have already posed some questions through this reading. What other questions pop up as we think about this chapter? Please leave your comments and questions, and let’s head on to chapter 2! This entry was posted in Wuthering Heights and tagged Summary, Volume 1, Chapter 1, Lockwood, Heathcliff, Joseph, Zillah on July 17, 2018 by Kris. The abrasive, blanketed heading of this article is meant to elicit a strong reaction. If you disagree with the above statement you are not alone. Many people argue that art is subjective, and as the old cliché states, “beauty is in the eye of the beholder.” The quote literally means that beauty is subjective, and while the cliché is in many cases accurate, it is far too broad to be fully accepted at face value. In order to accurately assess whether art is subjective or objective, we must first delve into the difficult task of defining art. So, without further ado, “What is Art?” Part of the answer lies in what humanity defines as creative endeavors that are observed in works of literature, painting, and musical composition. These are also modes of our entertainment, and the large totality of these works allows us the task of comparison and analysis. 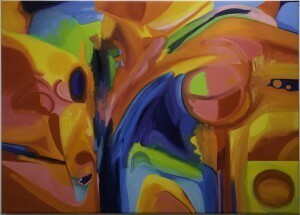 Art, however is far more expansive than this and could be said to be very functional. Buildings are works of art and there are many contrasting styles of architecture that set them all apart. The desk that you sit at, the design of your lamp, the curves of your vintage mirror are all examples of functional art, especially if they are well done. In essence, art is a craft, and just as you may realize the difference in quality between a cheap pair of shoes you bought at a mass retailer contrasted with an expensive, carefully crafted pair of Doc Martens, just so you may realize the difference in quality between two paintings, two novels and two pieces of musical composition. While perception is surely candidate to change, it is not always wrong when assessing a creative art form, particularly when it has the advantage of comparison. There is a difference between good and bad art, just as there is a difference between good and bad qualities in people (despite what their looks may be). While not every art form merits comparison (due to differences in genre, or artistic intention) it is not difficult to understand why a certain artistic creation is superior to another. Let’s examine a contemporary art form. If we are to compare HBO’s Game of Thrones to Starz’ Merlin (perhaps a tad unfairly, due to the scope of the material), it is easy to determine that Game of Thrones is a superior show due to richness of content, depth of themes and character development, etc. Might someone enjoy Merlin more due to personal subjectivity or preference? Sure, but that still does not make Merlin better than Game of Thrones. My following article will argue that art is indeed subjective, but until then, I would love to hear your opinions and arguments. Please leave them below in the comments section. Please be respectful of others’ opinions and try to provide a clear reasoning for your argument. This entry was posted in Literature on July 17, 2018 by Kris.